FNC and RNCC are the same thing. It’s a weekly payment made by the NHS to cover nursing care from a Registered Nurse. FNC is only provided if you need nursing care – and if you’re in a care home that can provide nursing care. Remember: RNCC and FNC are not the same as NHS Continuing Healthcare. The above rates were announced in July 2016, but they apply from 01/04/16 – and they should be backdated to that point. The rate will be reviewed again in January 2017. FNC is paid directly to the care home and it aims to ‘reimburse’ the care home for any registered nursing care they’re giving you. 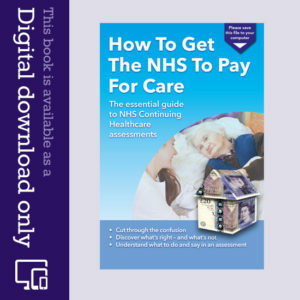 If you’re paying for your own care, and your fees are calculated to include all nursing care, your care fees should reduce once the NHS starts paying FNC. However, many people see no difference at all, even though the care home is obliged to show how FNC reduces the care fees. 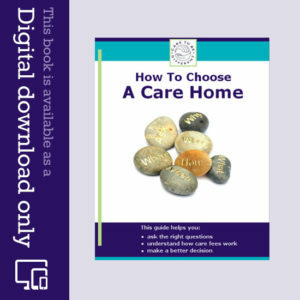 It’s always worth questioning this with the care home and, if necessary, with the Continuing Care Department at your local NHS Clinical Commissioning Group (CCG) – formerly the Primary Care Trust (PCT). Your eligibility for FNC is decided when you first go into a care home and you are assessed for free NHS Continuing Healthcare by means of an NHS assessment. You should be assessed for NHS Continuing Healthcare first. Only after that should you be assessed for FNC – not the other way round. FNC is a tax-free benefit and is not means-tested. It can also be withdrawn if the NHS decides you no longer need it. FNC does not affect your entitlement to Attendance Allowance, however it’s always best to double check your payments as it has been known for government employees to confuse FNC with NHS Continuing Healthcare and, as a result, stop paying Attendance Allowance. How is this nursing care contribution assessed?